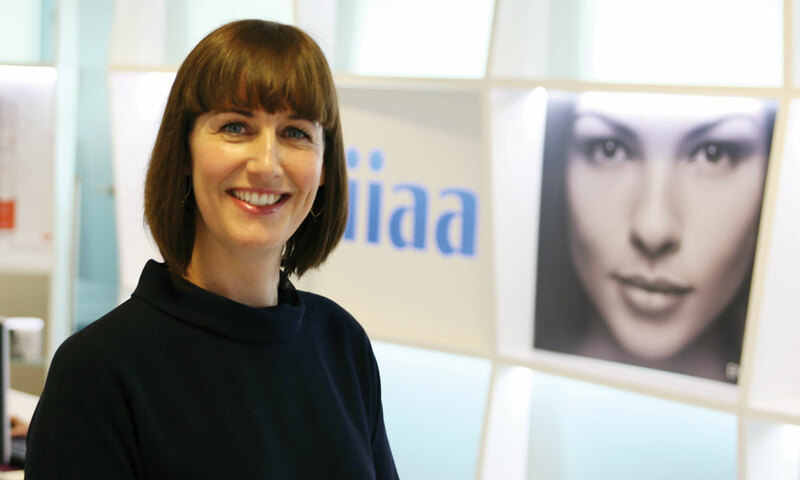 Q&A with Nicola Bell, Sales Director | iiaa Ltd | The UK and Ireland distributor of Environ Skincare, jane iredale makeup and Advanced Nutrition Programme. We’re delighted to welcome Nicola Bell, our new Sales Director. Nicola was formerly Sales Director for Clinique and has also held senior positions at Lancôme, Nike and Adidas. Her wealth of experience in sales distribution and building brands is great news for stockists and we’re thrilled to have her on board. Q What drew you to the iiaa? My background and passion has always been in the health and beauty industry. The iiaa stood out as an exceptional opportunity to join a growing company that cuts through the market hype to deliver products that really make a difference to skin. Q What have your first impressions been? I have had a very warm welcome by everybody and am inspired by the team’s desire to deliver. There is a great sense of teamwork and passion to provide salons with the best service possible and the training offered is exceptional. It definitely exceeds industry standards. Q How is it different to other skincare companies you’ve worked for? iiaa has a simple and clear philosophy: to Feed, Fortify and FinishTM the skin and I believe they have the best products that work together to achieve this. No other company is focused on a skincare journey that suits every type of lifestyle with simple steps designed to guide clients to achieve healthy skin for the longer term. Q How will you and your team help customers drive sales? The sales team will build on the excellent customer service, ensuring that all iiaa touch points exceed expectations. Our Area Managers will provide benchmark expertise and professional industry insights to support sales, and our Business Development Consultants (BDCs) will offer the best in-salon skincare and make-up events to help educate your clients, further boost sales and generate loyalty. At the iiaa there is always someone to help salons to offer the best products, training and personal service to support successful business growth. Q Do you have any tips for helping stockists sell products in-salon? It’s important that everyone working with our products keeps up to date with training. We have innovative brands and the market is competitive so if your salon has the latest knowledge and techniques it will give you the advantage. I also believe the reason a client is in your salon is because they want better skin, so you have the ability to offer them a solution through treatments and continued use at home. Be bold and confident, our products work and our treatments are best in class. Q What makes a good partnership between a brand and its stockists? We are an extension of your business. Our role is to help you build a successful salon by working collaboratively to deliver growth, engage and educate your clients, whilst offering you support specific to your needs. By working in partnership with the same goal in mind we should be in a strong position to give your clients the results they're looking for so they come back time and time again.